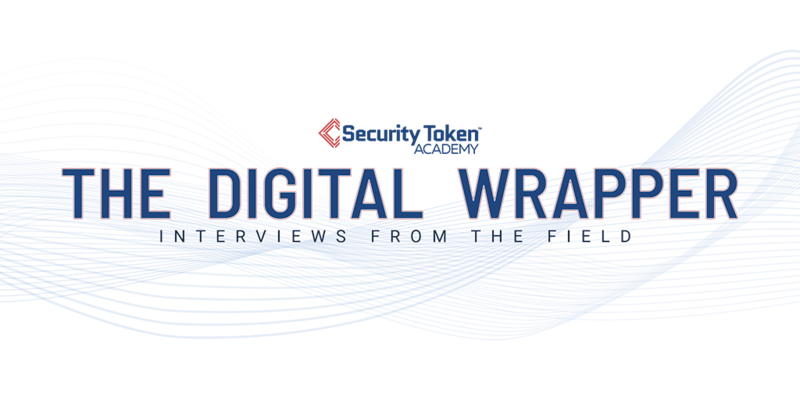 The Digital Wrapper is a series of narrative, behind-the-scenes interviews with the teams, networks, and projects building out the security token industry. This interview’s guest is Tron Black, principal developer at Overstock subsidiary Medici Ventures, and lead developer of open source project Ravencoin — a blockchain built to handle the easy creation, management, and transfer of digital assets. Tron is interviewed by Derek Edward Schloss, Director of Strategy for Security Token Academy. Derek Edward Schloss (TDW): Tron, great to have you answering questions on The Digital Wrapper. Before we get started — I think it’s possible you might have the best name in blockchain. Is there a story here? Tron Black (Ravencoin): [Laughs] It is my real name. My dad’s last name is Black, so that one is no surprise. My dad’s a chemical engineer — he came up with just “electron” and decided to take the -tron part. That’s how I ended up with the name. Derek Edward Schloss: Can you tell me a bit about your background? Tron Black: I have a computer science background, an MBA, and I’ve built a few companies. That’s what I did BC, before crypto. In 2013, I ran into Bitcoin. From that point that’s all I wanted to do. I kind of dove down a rabbit hole. I hear that a lot from other people but I kind of experienced it myself. Derek Edward Schloss: Yes, that seems to be common. Tron Black: I remember asking myself — what can I build here? I started building a few projects. One was called Coin CPA, which would track how much crypto you had, and how much it was worth. You put in your public address, and it would find out how much you had from Mt. Gox¹ or other trading venues. We supported about one hundred coins. If you were mining, it would talk to the API’s² behind the mining and add up all your crypto. With the information you received you could kind of slice it and dice it and look at it different ways. I ended up selling that company in 2015. I heard Patrick Byrne speak at an event and knew I wanted to go work on blockchain projects at Overstock. This was around 2015. 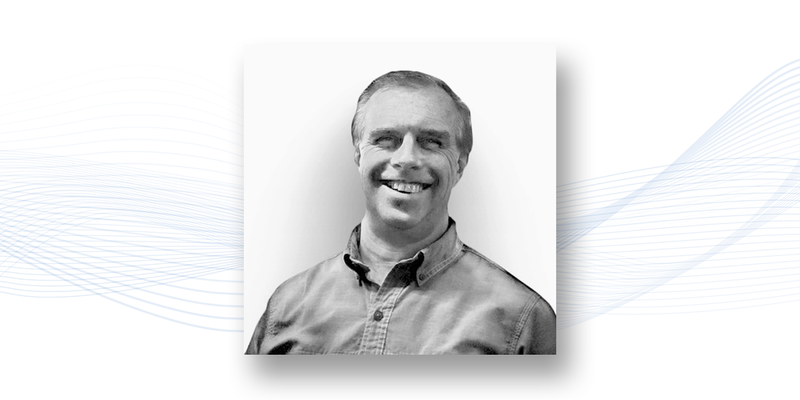 Derek Edward Schloss: What did you start working on when you arrived at Overstock? Tron Black: Originally it was tZERO. I was helping with Counterparty³ and Open Assets⁴ for tZERO, so I got really familiar with this model of adding assets on top of Bitcoin. Derek Edward Schloss: tZERO is Medici Ventures’ security token trading platform which recently launched for live security token trading. Tron Black: That’s right, originally I helped work on that project. One day, I was talking with an accountant in the building and Patrick Byrne walked by — we have glass walls and doors in all the offices. He knocks on the glass door and pops his head in. He had been talking with Bruce Fenton, and Bruce had been kicking around this idea of an asset layer using a code fork of Bitcoin — similar security features to Bitcoin, but with this unique ability to create and transfer and manage digital assets. Immediately I thought, “Yes. That is awesome. I’m going to work on that.” That project turned into Ravencoin. Derek Edward Schloss: In a few words, what is Ravencoin? Tron Black: Ravencoin is an open-source platform that allows anyone to easily and trustlessly issue their own assets, attach information to those assets, and transfer those assets — all on top of the Ravencoin blockchain. Derek Edward Schloss: Why did you decide to build the chain using a Bitcoin code fork⁵? Tron Black: The development team really likes Bitcoin and the security features of Bitcoin. There are second layer asset solutions that run on top of Bitcoin, but the layered solutions we’ve seen aren’t tightly integrated. Not having this tightness between layers makes this a little clumsier. For example, with these second layer solutions you have to essentially send a little bit of bitcoin with every transaction. I don’t even just mean for network fees, but actually to keep it next to the asset you’re trying to send so that the network accepts it. Derek Edward Schloss: In your mind, what are some of the features that make Ravencoin a strong platform for issuing blockchain assets? Derek Edward Schloss: That seems like a pain point for both traditional issuers and new digital token issuers — the inability to access and communicate with downstream holders of your asset. Tron Black: Yes. I just kind of stored that information in my head, and when we started building Ravencoin we took these insights and said, “All right, let’s add messaging. Let’s add the ability to pay dividends to asset holders. Let’s add voting.” These features we’re working on stem from pain points that exist in asset markets today, and from features of other projects we liked. We spent a lot of time thinking about this. Derek Edward Schloss: One of the interesting features I came across in my research is Ravencoin’s platform integration with IPFS, a decentralized storage system. This feature allows people using the Ravencoin platform to link the assets they create to files stored on IPFS. Can you give me a quick background on how IPFS works? Tron Black: That’s right. IPFS stands for Interplanetary File System, and it’s a decentralized file system that stores files as long as one person is pinning and holding the file. The first time I learned about IPFS I thought it was one of the most amazing things that I had seen. I had worked with Counterparty, and the way they would link their metadata⁷ is by doing a short URL, like a Bitly link, that would point to a website with information of the token. They expected these web pages to last the duration of the token’s life, but unfortunately, most of these web pages are gone. Today, you don’t know what these tokens are or were meant for. On the other hand, the IPFS storage system allows anyone to access a previously uploaded file as long as one person on the decentralized file system continues to pin the file. Derek Edward Schloss: How does the information I upload to IPFS integrate with my Ravencoin assets? Tron Black: A few ways. With IPFS, the hash of the file is used as the file name. So if you upload a movie file into IPFS called “Bestmovieever.mpeg” on four different occasions, the same 34-character hash⁸ would be given each time to that file, and that specific .mpeg would only be stored one time. In other words, there would only be one master copy. Anyone can access that file via the 34-character hash, and there’s no way to tamper with that data in IPFS without it becoming a different hash. This means if you stick that 34-character hash into an asset on Ravencoin, then you create an immutable asset, that can be traded freely, with a link to immutable data. Derek Edward Schloss: Just so I’m clear, it’s possible to upload things like books or music or movies into IPFS, and then link this digital information to token assets created on the Ravencoin platform? I guess I could see Ravencoin moving all types of digital information in token form, jumping from wallet to wallet. Tron Black: Yes. We’re already starting to see this on the Ravencoin blockchain. Derek Edward Schloss: What are some of the early examples of asset creators on Ravencoin using IPFS? Tron Black: There are quite a few. An example that’s easy to understand is a project that uploaded scanned ownership certificates of precious metals and stones into IPFS, then created assets that tie to those certificates on Ravencoin. Essentially, they’ve created a publicly viewable certificate of authenticity for these gems, tied to unique asset names which can trade freely on Ravencoin. These unique digital assets and the certificate of authenticity can then be transferred with the physical ring, ruby, or diamond to prove ownership rights. Derek Edward Schloss: Since IPFS requires individuals to to pin and hold the file, how can I be sure the file I upload to IPFS will always be there? Tron Black: You can always pin and hold the file yourself, or dedicate storage to pin and hold these files. There’s also a project called Filecoin — that project is really intended to incentivize people who store IPFS files to get paid. So there are these ecosystems already building around IPFS, which is great. Right now we’re working on integrating IPFS a little more tightly with the Ravencoin client — the client will be able to install and run IPFS. In addition, we’ll also use IPFS for messaging, like writing a large message to communicate to your asset holders. In the future, any transaction you make will have the additional option to have an IPFS hash created. For example, you will be able to create a hash with a written statement like, “I bought Ravencoin, and the basis cost was x”. This is helpful if you want to create recorded information about specific transactions you made on the network. Derek Edward Schloss: I think I need to run a hypothetical by you, and this could be a good way for us to make our transition into security tokens. I think it will also be helpful for me to wrap my head around Ravencoin and IPFS integration. Tron Black: Yes, go for it. Derek Edward Schloss: Today, is it technically possible for me to take a legal document specifying my rights in a real world asset, upload that legal document to IPFS, and link that legal document from IPFS to an asset token I created on Ravencoin? Then, once this is done, exchange that asset token with someone over Ravencoin? Tron Black: Yes, you can create a tokenized asset with any name, link it to a legal document using IPFS, and atomically trade it on Ravencoin. We have a Ravencoin desktop wallet and a Ravencoin mobile wallet for iOS. Android is coming soon. Anyone who holds that tokenized asset in their mobile wallet can see the legal document attached to that token through IPFS. There are also a number of community projects building other platforms on top of Ravencoin that may help with the process you just described. Stay tuned. Derek Edward Schloss: It’s kind of great that blockchain projects are getting to the point where we can do this stuff from an iPhone. Tron Black: [Laughs] I agree. Currently, we’re on the second major release of our mobile wallet for iOS. I should clarify that the iOS mobile wallet is not a full node. It doesn’t do mining, and it doesn’t hold the whole chain. But you can create assets, you can transfer assets, and you can attach information to those assets. All from your mobile phone, right to the Ravencoin blockchain. Derek Edward Schloss: This is probably a good transition into a specific type of tokenized assets — security tokens. There’s a lot of innovation happening on Ethereum right now. Why do you think Ravencoin might offer a more beneficial way for users to issue, manage, and trade digital securities? Tron Black: The first benefit is just pure ease of use. We’ve developed Ravencoin with a singular focus on creating and managing assets, which we think is very powerful. With Ravencoin, you can easily create and attach information to tokens with metadata. Secondly, each Ravencoin asset is uniquely chosen and named on the blockchain. As a result, assets have perfect auditability and transparency. If you go to a Ravencoin Asset Explorer right now, you can search the name of any asset, and you’ll see how many tokens are issued and how many tokens are in each address. As assets start moving around worldwide to different addresses, you’ll always have a perfect record of holdings. Third, it’s really good at linking information about the token, to the token — whether that’s a signed PDF, a deed, a financial statement, or information about the issuer. You can add all kinds of digital information that attaches to these asset tokens on Ravencoin, which can also be parsed out by computers. There’s a lot of power here. Derek Edward Schloss: The securities industry is heavily regulated, and one thing I want to touch base on is lifecycle compliance. Depending on the type of security, regulations might include identity checks, transfer restrictions, maximum shareholder amounts. Wallet addresses might not be able to hold more than x% of the total supply. There may be defined time periods before certain transfers are allowed between investors. Understanding that Ravencoin itself is just a tool for asset creation and management, how does the development team think about these tough issues? Tron Black: With the original token types we developed, Ravencoin enabled seamless peer to peer trading of token assets. You can attach whatever information you want to those assets, and they can trade freely to any party. With securities, there are a number of legal requirements that parties involved need to follow. For example, running KYC / AML identity checks. Some of these requirements stem out of the Bank Secrecy Act and Title III of the Patriot Act. Other identity requirements stem out of accreditation standards or securities exemptions that require certain lock up periods. These laws are different in every jurisdiction. As a result of these laws, we wanted to provide asset issuers with the flexibility and option for stricter controls over the assets they might create. We think Ravencoin is incredibly well positioned to help a securities industry that’s struggling with how to make a token that interacts with the legacy global financial system. Derek Edward Schloss: Is this why the development team announced those two new token types — Restricted Assets and Tag Tokens? Does this framework allow Ravencoin to help asset issuers who are focused on complying with securities laws? Tron Black: Yes, exactly. We think these token types will help with this. Derek Edward Schloss: I want to dig in to this a bit more. A number of security token projects are building restriction solutions on Ethereum using a method called whitelisting. These whitelists help issuers stay in compliance with securities laws as these security tokens transfer from party to party. Can you explain whitelisting on Ethereum, and how Ravencoin’s framework departs from this method? Tron Black: Sure. So what we see happening now is there’s a whole bunch of experiments being made on Ethereum using Solidity, which is Ethereum’s smart contract language. These projects are writing the rules for security tokens using this smart contract language, but many of these solutions are converging on different incompatible whitelist solutions. Whitelists are one method by which to restrict transfers of security tokens. Pre-approved individuals are put on a list that is held by parties like issuers, broker-dealers, technology platforms, and trading venues. When a token attempts to get transferred, the smart contract logic in the security token pings the whitelist to verify whether the receiving party is a suitable counterparty based on regulations. If the counterparty is not suitable, the system will throw an error message back. Derek Edward Schloss: Why do you think whitelisting might not be the ideal solution to restrict or approve security token transfers? Tron Black: A few reasons. First, whitelists are incompatible with one another — for example, there would likely be a separate whitelist for Nike and Uber. Second, every transfer requires scanning through a long list of whitelisted addresses to determine if the target address has been whitelisted. We don’t think this method actually scales very well when we’re talking about a particular security being held by many different parties. Third, whitelists have the potential to become honeypots of information for attackers, floating around at multiple access points and databases especially if each entity needs to whitelist the token holder again. Derek Edward Schloss: How does Ravencoin’s two token types — Restricted Assets and Tag Tokens — deal with transfer restrictions for security tokens? Are you solving these pain points? Tron Black: We think so. The first new token type is called a Restricted Asset, represented by a dollar sign ($) like $APPLE, or $GAME_TOKEN. We think people will use Restricted Assets to represent things like regulated securities, or even subscription-based tokens. An important rule to remember is that Restricted Assets can only trade between wallet addresses holding the second type of token, called a Tag Token. Tag Tokens are represented by a hashtag (#) like #KYC, or #SUBSCRIPTION. The rule to remember for Tag Tokens is that Tag Tokens can only be transferred once, from the original creator of the Tag Token to the recipient. Derek Edward Schloss: As it relates to security tokens, who do you think the original creators of these Restricted Assets and Tag Tokens might be? Tron Black: With security tokens, Restricted Assets might be created by the issuing company who decides to issue securities. On the other hand, Tag Tokens might be created by single identity verification services like Verify Investor, or a consortium of these verifiers. These verifiers might send Tag Tokens to an investor once an investor has gone through KYC, AML, and accreditation checks, and is approved to trade or hold a certain type of Restricted Asset. When creating a security token, the issuer would specify at issuance what type of Tag Tokens are approved for investors wishing to hold and trade their Restricted Asset. Derek Edward Schloss: Can an approved party holding a Tag Token just send that Tag Token to a non-approved person’s wallet address? Tron Black: No, so we’ve designed this so that Tag Tokens can only be transferred one time, and only from the original Tag Token creator. Also, if a Tag Token holder loses their accreditation status and are no longer an accredited investor, or they are deemed to have fraudulently acquired the Tag Token, the Tag Token can be revoked by the original Tag Token creator. Derek Edward Schloss: Okay, interesting. Let’s say I’m an issuer of a Restricted Asset that happens to be a security token. Can I revoke that security token, or Restricted Asset, from an investor’s wallet? Tron Black: Unlike a Token Tag, Restricted Assets can never be revoked or seized, but they can be frozen by the original issuer, and only by the original issuer. A freeze basically says, “I am freezing this asset in place in your wallet address.” It can’t move from that address — it will be frozen there. Derek Edward Schloss: Why did you decide to go with a token-freeze instead of a token-seize for Restricted Assets? Derek Edward Schloss: I see — so even if a Restricted Asset is frozen, the holder of the Restricted Asset will be notified of the reason why the Restricted Asset they are holding is frozen and can’t be moved. Tron Black: Correct. We think the freeze method works well in combination with the ability to communicate. It could even be, “Hey we got this warrant, subpoena, or legal requirement that we have to honor.” And the issuer can just freeze that Restricted Asset. Assets might also be frozen because the asset is not tradable yet, or Rule 144 restrictions. Derek Edward Schloss: Are you aware of any issuers who have started the process of tokenizing securities using Ravencoin? Tron Black: One I can definitely say because they’ve publicly announced — Assure Services. In their announcement, I believe they mentioned that they’ve already registered over $10,000 worth of token names on Ravencoin. They have a really interesting model where they create special purpose vehicles, chop them up, and sell these securities to accredited investors. Derek Edward Schloss: That’s great. I also saw that Assure recently announced that SeedInvest chose them to administer its legacy equity portfolio after the Circle acquisition. I want to switch over to a topic I think about a lot — cross-chain interoperability, especially as it relates to security tokens. There is this robust financial infrastructure building on Ethereum that may eventually help create very liquid markets for security tokens. I spoke briefly about this in my interview with Fluidity Factora, a NYC-based team tokenizing and structuring security token projects on Ethereum. Do you envision a world where there are use-case specific chains — so Ravencoin might be one of a few chains optimized for creating and managing assets like security tokens — but through cross-chain atomic swaps, asset holders could use their Ravencoin securities on other chains, like Ethereum? That way, Ravencoin security token holders could still benefit from Ethereum protocols for decentralized trading, lending, ERC20⁹ stablecoins¹⁰ like Dai¹¹ or USDC¹², and prediction markets? Tron Black: Yes, I like that idea. I do see something like that happening — I would like Ravencoin assets to interact with ERC20 tokens on Ethereum and vice versa. Today, the atomic swaps that are possible on-chain with Ravencoin are assets swapped atomically for other assets, which could eventually include stablecoin assets on Ravencoin. Derek Edward Schloss: What’s coming up over the next year on the Ravencoin roadmap for the development team? Tron Black: We are just now adding Messaging to our Testnet — Messaging is foundational to the next few phases of Ravencoin development. Tag Tokens and Restricted Assets are the two new token types that we’re adding to Ravencoin, and they’ll need Messaging. Tag Tokens will use messaging to reference KYC/AML data, and Restricted Assets will be able to store immutable memos with each transfer or freeze. Derek Edward Schloss: Wrapping up, I’d love to quickly get your opinion about what’s been happening in the state of Wyoming — there’s been a few very innovative bills enacted by their state legislators. Some of this legislation is poised to have a direct impact on all categories of digital assets in the state, including security tokens. Tron Black: I’m definitely a big fan of Caitlin Long and the work being done by her and the state of Wyoming. Caitlin is doing some really great work over there — the categorization of different digital assets, the fintech sandbox, the recognition of direct property rights for digital assets. I helped get some of Utah’s state legislators looped in to what’s going on over there, and I’m hoping we may be able to bring similar legislation to the state of Utah at some point. Derek Edward Schloss: Speaking of Utah, I noticed that Ravencoin has a meetup coming up in Salt Lake City on March 15th, 2019. What do you want people to know about that event? Tron Black: Yes — it’s going to be great. It’s our second annual meetup, held in Salt Lake City in the Peace Coliseum. If you haven’t seen that building, definitely look that up. It’s kind of signature building, and it looks like a peace symbol from the sky. We’ll have a few speakers — I’ll be one of them. We’ll talk about stuff being built on Ravencoin, ways to more easily integrate with Ravencoin if you’re building things like web projects. We’ll have Corbin Fox speaking on second tier development. Jeremy Anderson, another one of the key developers, will also be speaking about how anyone become a blockchain developer and contribute to the project. It’s going to be great. March 15th in Salt Lake City here in the Peace Coliseum. Derek Edward Schloss: Before we sign off, is there anything else you’d like people to know about the Ravencoin project? Tron Black: I’d like to express my thanks to Medici Ventures and Patrick Byrne for backing an open source project and letting me be a part of it. Thanks to Bruce Fenton for his vision of what Ravencoin can become and to the developers, at Medici and worldwide, that are critical to the success of the project. And my appreciation goes to the amazing Ravencoin community, many which have become friends, for their dedication, support and efforts towards the project and without which, Ravencoin would just be bytes on a disk and I would not be the subject of this interview. Derek Edward Schloss: For asset creators or service professionals looking to use Ravencoin to create digital assets, where can they go to learn more info? Tron Black: Definitely. For downloads and technical information about Ravencoin, visit https://ravencoin.org. For updates, news, thoughts, and more information about how Ravencoin can be used for assets, subscriptions, and STOs, visit https://medium.com/@TronBlack. For near real-time updates, you can follow @Ravencoin or @TronBlack on Twitter. Derek Edward Schloss: Tron, on behalf of The Digital Wrapper, thanks for your time. ¹ Mt. Gox was a crypto exchange launched in 2010. Before it suspended trading in 2014, it was said to have handled over 70% of all bitcoin transactions worldwide. ² API is application programming interface — a set of subroutine definitions and tools for building software. A good API makes it easier to develop a computer program by providing all the building blocks, which are then put together by a programmer. ³ Counterparty is a financial platform for creating peer-to-peer financial applications on the Bitcoin blockchain. ⁴ Open Assets is a protocol built on top of the Bitcoin blockchain, and allows for the issuance and transfer of user-created assets. ⁵ Code fork, also known as a project fork, happens when developers take a copy of source code from one software package and start independent development on it, creating a distinct and separate piece of software. ⁶ Ethereum is an open-source, blockchain-based, distributed computing platform and operating system featuring smart contract (scripting) functionality. ⁷ Metadata is data that provides information about other data. In other words, it is “data about data”. ⁸ Hash is a mathematical algorithm that maps data of arbitrary size to a bit string of a fixed size (a hash) and is infeasible to invert. For reference — in a blockchain each block contains a cryptographic hash of the previous block, in addition to a timestamp and transaction data. ⁹ ERC20 is a common list of rules and standards for all Ethereum tokens to follow, empowering developers to predict how new tokens might function within the larger Ethereum ecosystem. ¹⁰ Stablecoins are cryptocurrency that demonstrate price stable characteristics. ¹¹ Dai is a decentralized, price-stable cryptocurrency based on Ethereum. ¹² USDC is a stablecoin fully backed by the US dollar and developed by the CENTRE consortium, an open source project bootstrapped by contributions from Circle and Coinbase.